Whatever the sector, iSell is the intuitive tool, always available, that makes the daily work of sales agents faster, easier and productive. iSell is the unique and revolutionary system to improve, significantly and effectively, the corporate productivity and expand the commercial potential of your business. iSell can communicate with every existing management unit. Ready to use, practical and effective: discover now the opportunities for our partners. Easy to use for everyone, iSell allows managing the company's sales activities effectively and accurately. 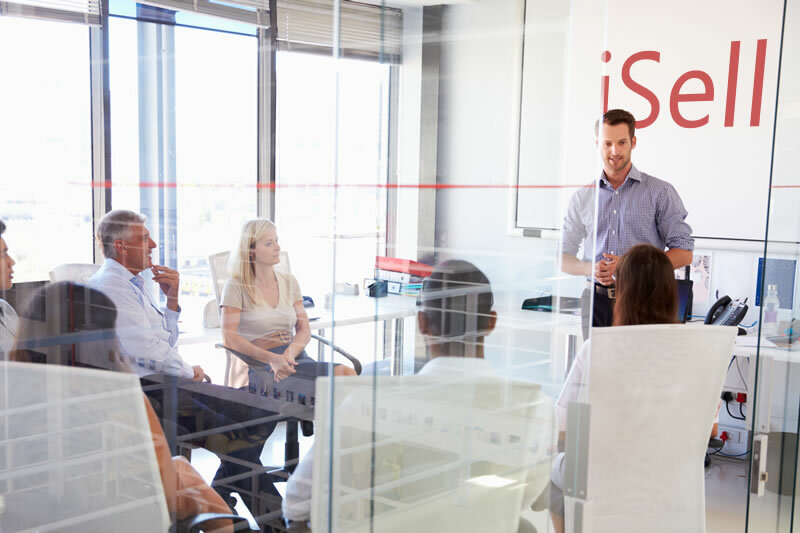 iSell is the unique and revolutionary system to improve the communication and interaction between the sales people within and outside the company significantly and effectively. 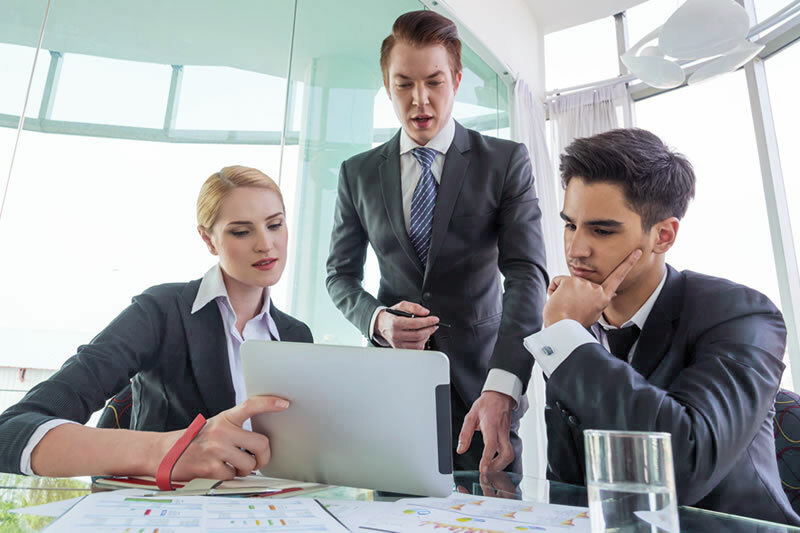 Fast, safe, stable and easy, iSell increases business productivity and expands the commercial potential of your business. Easy to use for everyone, it allows managing the company's sales activities effectively and accurately, saving time, money and efforts. iSell also keeps an eye on the environment: by reducing the need to print out quotes catalogues, orders or promotions, the environmental impact of the company decreases. 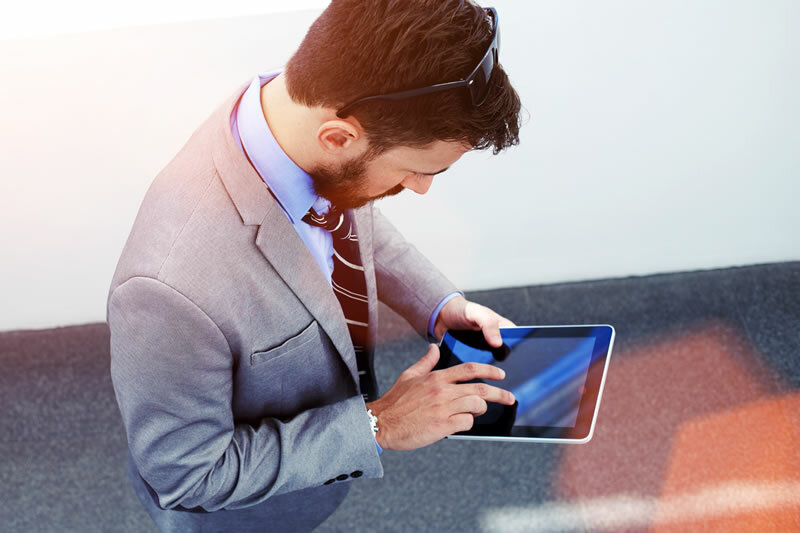 With iSell your agents always have a complete and updated product at hand. They can consult the current situation of your stock easily, the availability of the products and spare parts, to better organise deliveries and order management. iSell provides a real-time view of orders, payments and invoices. 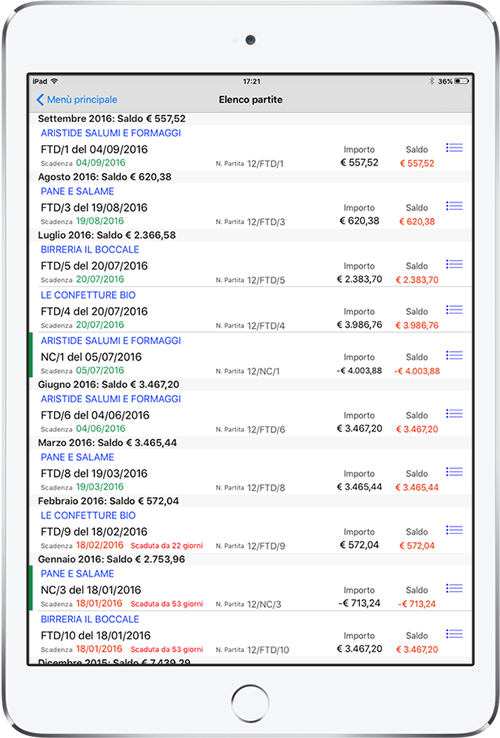 You can know the situation of each client at any time, the totals for a chosen period and monitor the trend for future forecasts and budgets. 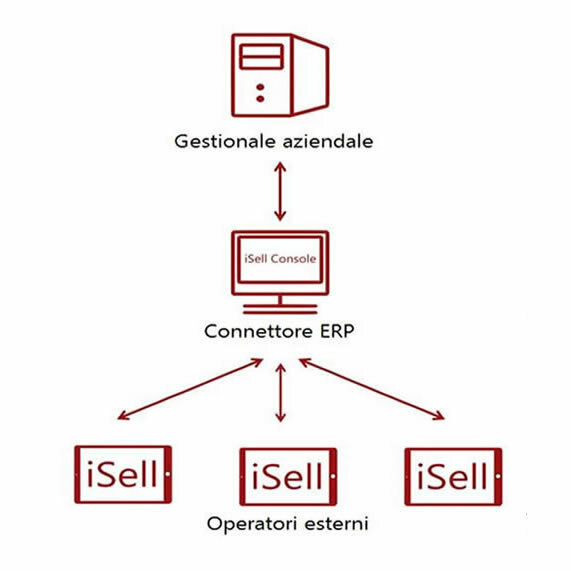 iSell communicates with the corporate data thanks to an iSell® Console integrated ERP connector that allows the data synchronisation with any management unit. iSell Console has full control of permits, customisations, transmissions and any data integration. iSell is an app that makes on field work more efficient, quick, productive and organised day after day, starting with the first click! It displays the order history, creates display filters, fills in new data, creates orders based on the history, looks for new clients, manages the visiting rounds. Manages the visiting rounds with the navigation system, prints documents in real time and downloads lots and registrations with barcodes, blocks deliveries. Selects different payment methods, displays control summaries for the end of period checks. Manages the actions agreed and clients to visit, prepares documents with images, annexes and video clips, displays the intervention history and the solutions adopted. Collects data, information, documents, implemented according to the specific needs of the activity. Our experience in the different sectors allows providing a perfect and ready to use app for everyone. References and re-invoicing, management pursuant to Article 62, Managing of lots and Canvas. Attempted sale. Free loans management, registration numbers, deposits and Canvas. Attempted sale. Lot management, sizes, colours, variants. Precompiled technical interventions divided by weekly visits. The technician just has to insert the hours made and send them back to the main premises. The operator receives the list of the equipment that require assistance for each client (maintenance of fire extinguishers, etc.). Raccoglie dati, informazioni, documenti, implementabile in base alle esigenze specifiche dell’attività. Special and optimised searches for the management of archives with a high presence of products with links to spare parts and accessories. Management of variants and registrations. Attempted sale. Would you like to receive more information on our products or do you need support in managing our App? Do not hesitate and contact us!